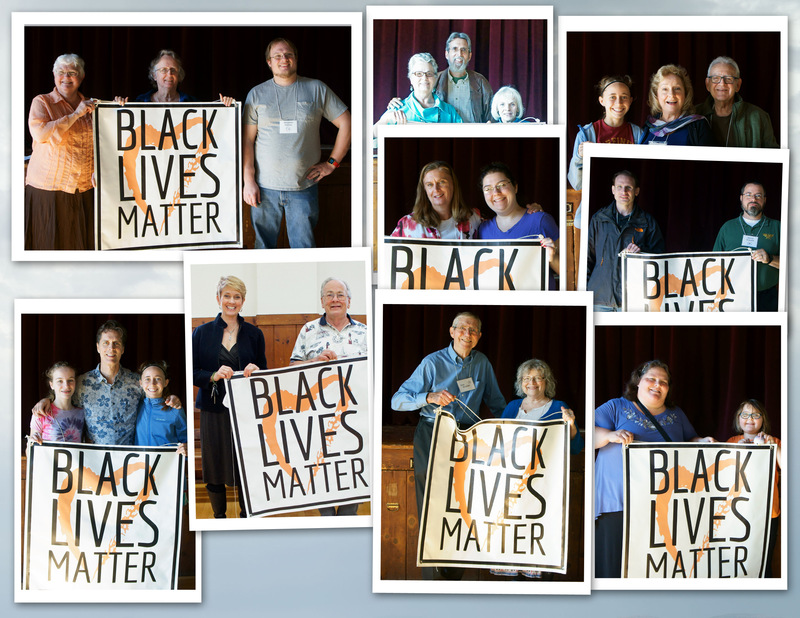 How does First Parish promote justice, near and far? Sunday offertory contributions support service organizations (eg. UUSC, SPLC), and Community Meals coordinated by Alicia Coderre and Adi Pandit. 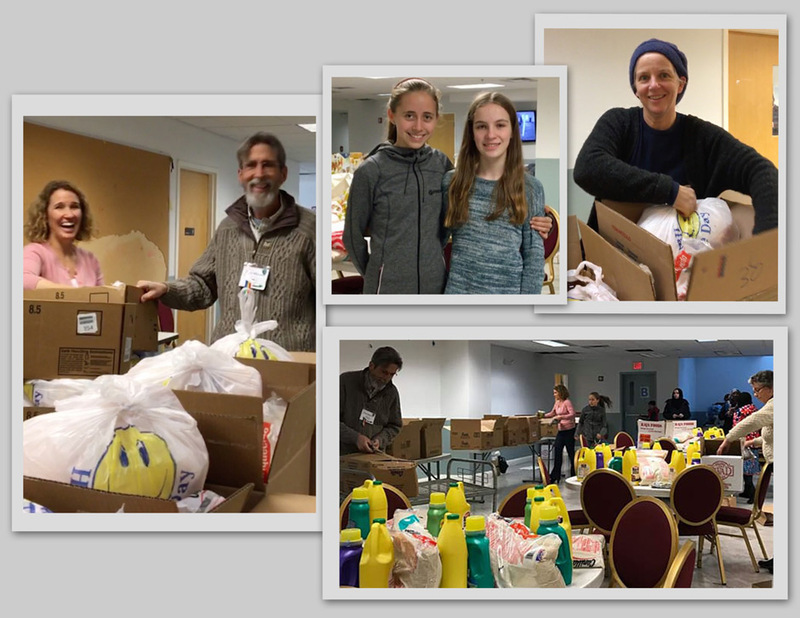 Church members help the Worcester Islamic Center’s quarterly Food Drive. Concern for racial justice is the top priority this year. Our offering this year depend on the replies to the Congregational Justice Survey results. Witness events will be announced as timely as possible. Advocacy opportunities are posted on the church website and the UU Mass Action website. We welcome all your ideas! Please contact Linda Clark to be added to the Justice Ministry group email. You can directly help local refugees by contributing to the Quarterly Food Drive at the Worcester Islamic Center. 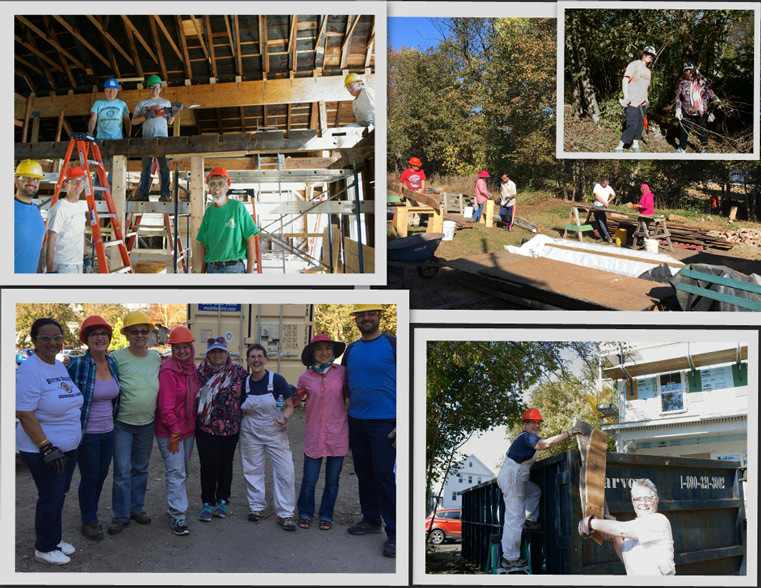 Many thanks for the offering on November 26 and the volunteers who joined the effort. The next event will be in March. As a committee we bring diverse experiences with volunteer and professional service and points of awakening to the actuality of oppression. We bring a variety of talents and skills that we would like to share. 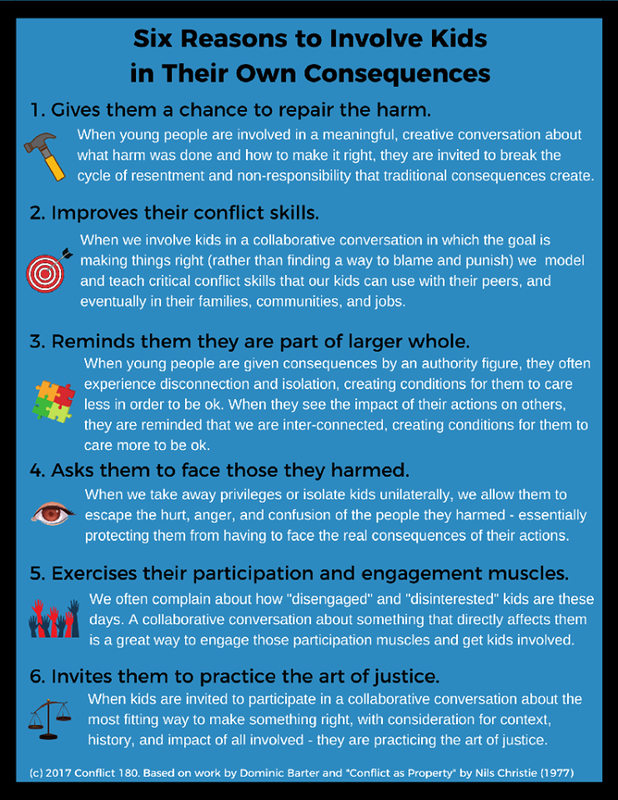 Our common assertion is that we want to help create a better world for all our children and grandchildren based on our Unitarian Universalist Principles. 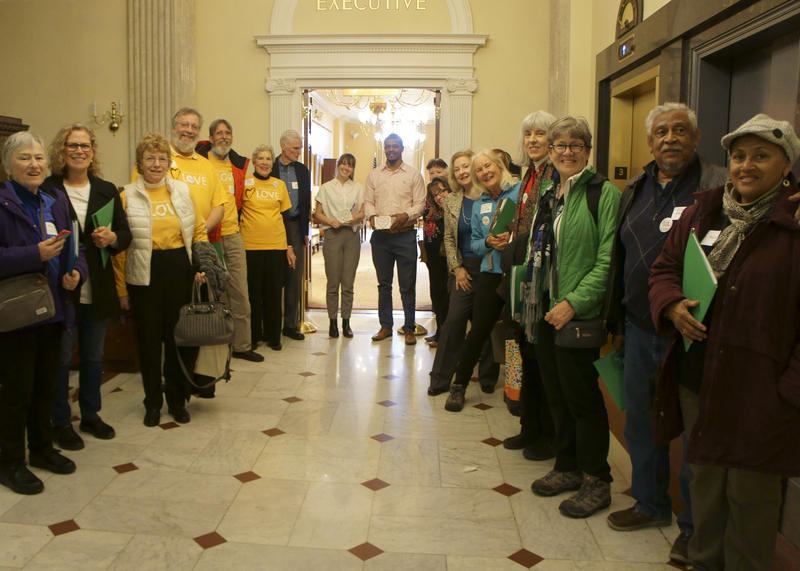 UU ADVOCACY DAY was a great day of participation in our democracy! We had a team of five from First Parish. were inspired during worship, informed about current bills before the legislature before our walk to the State House and invigorated by collaboration with like minded people, We will bring you ideas for you to consider. Boston Green New Deal Tour! Join us for the launch of the Green New Deal Tour to hear leaders in the Boston community share stories about how the Green New Deal is the biggest opportunity of our lifetime to invest in the American people, and what that looks like for Massachusetts and for our country. UU Mass Action is exploring opportunities to get further involved and want to turn out as many people as we can to this event! You can reserve a ticket here and they will send out further instructions to register soon. 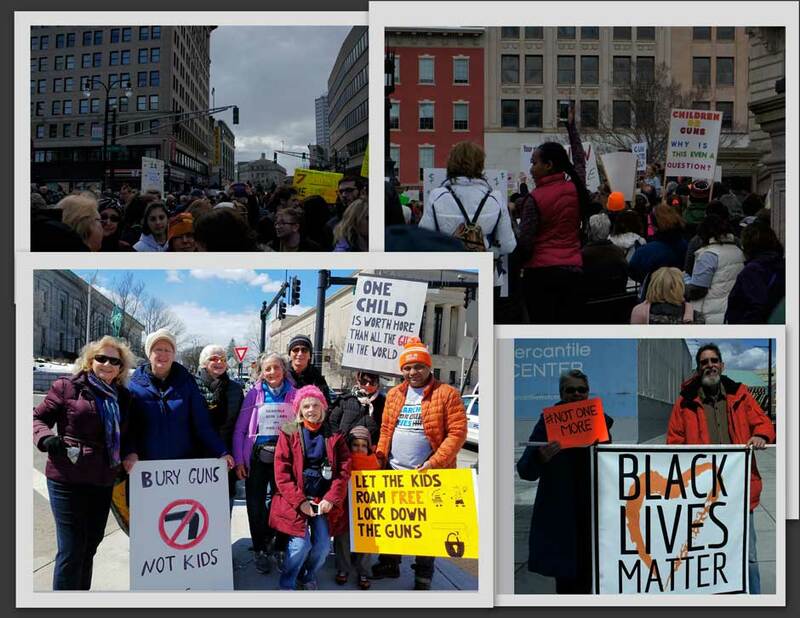 Additionally, please email Tali if you are registering and/or if you would like to support recruiting and turning out people from your congregations at tsmookler@uumassaction.org. She will work to convene folks who attend after to debrief and discuss next steps based on what we learn. Let’s have a great presence at this event! See you there! Bringing together community leaders, environmental justice advocates and activists from across the region to build skills, discuss new ideas, and be inspired for the work ahead. UU Mass Action created this award in honor of our former board member, Ruth Rowan. Ruth was a board member from 2014 to 2016. She became a member of First Parish Northborough UU in 1985. Ruth was an accomplished flautist and choir member who, for many years, has generously shared her musical talents during worship services and at many UU gatherings. Ruth was passionate about living her values and principles by taking action and engaging in social justice. It is in honor of her love of music and justice that we name this award for her. John Kramer, Music Director, Winchester received the award at Advocacy Day 2019. Feel free to follow my personal posts on social media and to share any posts that reflect our Seven Principles on your own Facebook pages. Discussion welcome!